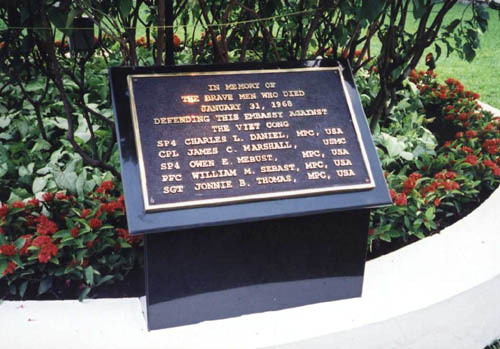 A monument in red marble on the sidewalk outside the U.S. Consulate honors Viet Cong Sappers and agents killed at the Embassy seige. 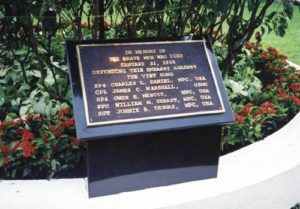 A plaque honoring Americans killed at the battl of the U.S. Embassy placed in the garden of the U.S. Consulate Ho Chi Minh City. 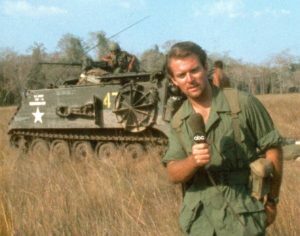 Cover of Life Magazine February 9th 1968 shows a VC Sapper captured by US Army MP’s. 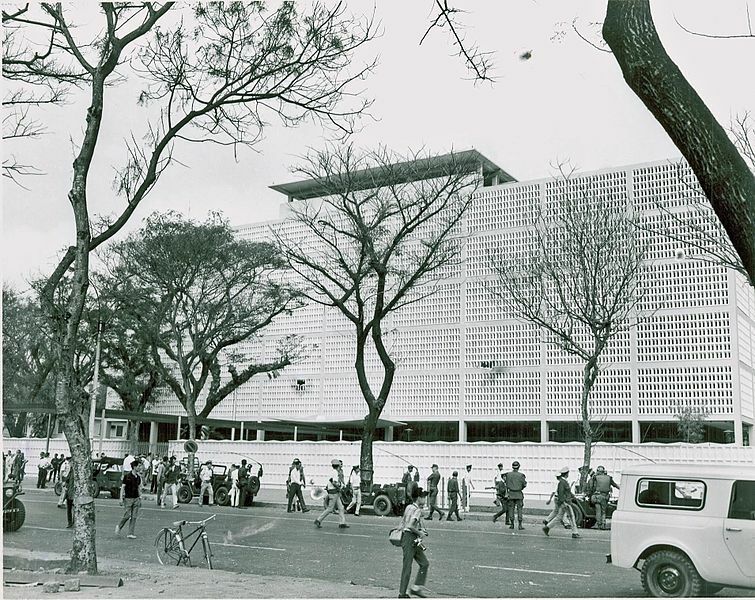 The U.S. Embassy as it was January 31st 1968. 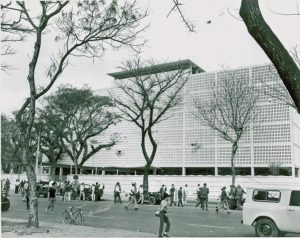 It was demolished in 1998.